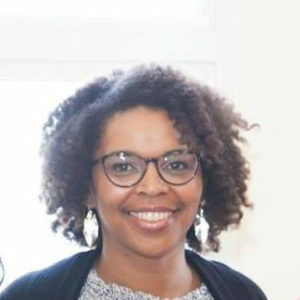 Isabelle Moses serves in dual roles as Director of Talent Development with PICO National Network and Director with Community Wealth Partners. She has nearly 20 years of experience working with nonprofits, foundations, Fortune 500 companies and federal agencies as a program director, coach, consultant, facilitator, and trainer. Her expertise includes design and delivery of multi-faceted and multi-year leadership development programs designed to increase the impact of national networks of organizations at the individual, organizational and network-wide levels. She particularly enjoys working with social justice leaders and organizations working to disrupt the status quo and achieve equitable outcomes for communities of color. Isabelle previously held consulting roles with The Management Center, Accenture, and Eagle Hill Consulting. Earlier in her career she managed investor communications with The Calvert Foundation and served as a Peace Corps Volunteer in Cameroon. Isabelle holds undergraduate and M.B.A. degrees from Georgetown University and is a certified leadership coach from Georgetown’s Institute for Transformational Leadership. Isabelle serves as a member of Equity in the Center’s Advisory Committee.